Daniel J. Siegel, MD received his medical degree from Harvard University and completed his postgraduate medical education at UCLA with training in pediatrics and child, adolescent and adult psychiatry. He served as a National Institute of Mental Health Research Fellow at UCLA, studying family interactions with an emphasis on how attachment experiences influence emotions, behavior, autobiographical memory and narrative. Dan's psychotherapy practice includes children, adolescents, adults, couples and families. He is currently a clinical professor of psychiatry at the UCLA School of Medicine where he is on the faculty of the Center for Culture, Brain, and Development and the Co-Director of the Mindful Awareness Research Center. An award-winning educator, he is a Distinguished Fellow of the American Psychiatric Association and recipient of several other honorary fellowships. He is also the Executive Director of the Mindsight Institute, an educational organization that focuses on how the development of mindsight in individuals, families and communities can be enhanced by examining the interface of human relationships and basic biological processes. 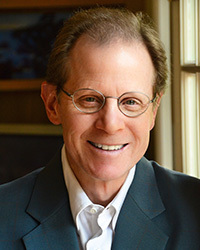 He is the author of several books, including Aware: The Science and Practice of Presence; The Mindful Brain: Reflection and Attunement in the Cultivation of Well-Being; Mindsight: The New Science of Transformation; and The Mindful Therapist: A Clinician's Guide to Mindsight and Neural Integration.